Pale ale with a flavour of summer fruits, thirst quenching, well balanced with a long finish. 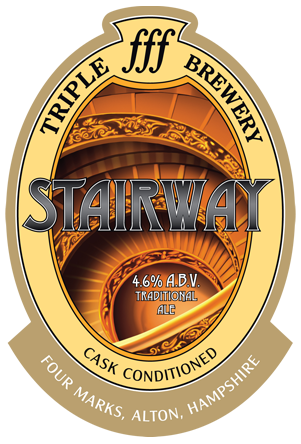 Had this lovely ale at the Paisley Beer Festival, April 2007. Cask, handpump dispense. Mahogany in colour with a thin white head. Slight floral hop noted in the short aroma. Good creamy mouthfeel and poor lacing. Pale malt complexes gives a chewy digestive malt with a hint of summer berries, notably bramble coming through. Dusty dry hop flowers add a bitter aftertaste. Finish is slightly astringent with tart gooseberry skins in the mouth. A decent session bitter. Cask at the Harp. Pours a hazy, amber-gold with a short, white head. Sharp cereal malt aroma with some faint, floral hops. Lightly sweet and very bready, perhaps pumpernickel. Also has some restrained bitterness of earth and mild citrus. Very nicely balanced. Light to medium in body with fine carbonation. Finishes with more bready malts and some lingering, earthy bitters. The cloudiness clears up after a few minutes. Really good. Cloudy golden with a lasting white head. Grainy malt and grassy hops aroma. Clean and dry malt flavour with some citrus hop and a bitter finish.